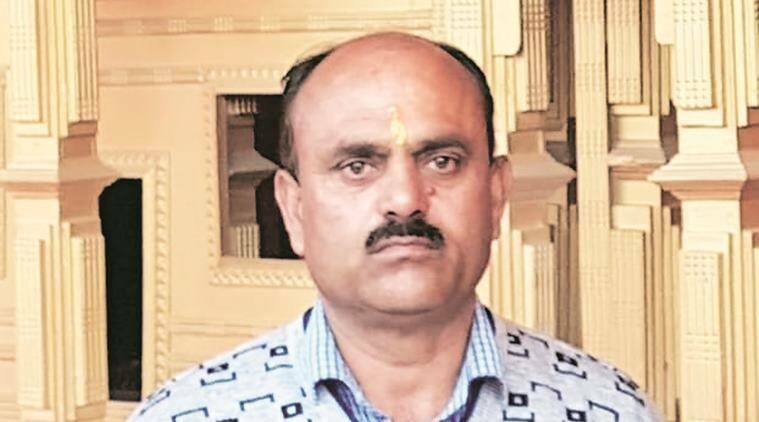 Police said Chanderkant Sharma (50), RSS in-charge for Kishtwar and Doda districts who worked as a medical assistant at the hospital, and his PSO, Rajinder Kumar (30), were gunned down by two militants. A senior RSS functionary and his personal security officer (PSO) were killed by unidentified militants inside a district hospital in Kishtwar town on Tuesday afternoon. Police said Chanderkant Sharma (50), RSS in-charge for Kishtwar and Doda districts who worked as a medical assistant at the hospital, and his PSO, Rajinder Kumar (30), were gunned down by two militants. The hospital shares a boundary wall with the Kishtwar police station. According to local reports, there were at least three militants — while two used the rear entrance to enter the hospital, the third remained outside. The militants first opened fire at Kumar, who was standing in the crowded corridor outside the Out Patient Department (OPD) of the hospital, and then shot Sharma as he stepped outside his room. They also took away Kumar’s AK-47. While Kumar died on the spot, Sharma was airlifted to the Government Medical College Hospital in Jammu where he later died. Inspector General of Police (Jammu zone) M K Sinha said no militant outfit had claimed responsibility so far. He said the miltants fled on foot after the attack. Police said Sharma had been assigned three PSOs in view of the threat perception to his life. Two PSOs were with him at the hospital on Tuesday. Police sources said they are yet to ascertain where the second PSO was at the time of the attack. Sharma is survived by his wife and two minor sons. As the attack triggered protests in Kishtwar and Bhaderwah, the Army was called in and curfew was imposed as a precautionary measure. Officials said mobile Internet services have been suspended in Kishtwar, Doda and Ramban districts. Jammu: J&K Governor Satya Pal Malik directed the Security Review Coordination Committee (SRCC) to “immediately” review cases of political persons who have lost security cover following their decategorisation or downgrading and provide security to deserving ones.